Your brand identity is your company’s public face. A strong brand increases the value of your company, creates an identity and motivation for your employees, and makes it easier for you to acquire new customers. Today, we are experiencing a shift in how brands can efficiently market to their consumer base. There’s more competition and advertising noise, and consumers are better informed. It’s difficult to break through the noise, especially when you’re promoting a new company or new products or services. So what can you do if you’re launching a new company or a new product or service line? How can you break through the noise? One recent marketing trend is brand-free branding. 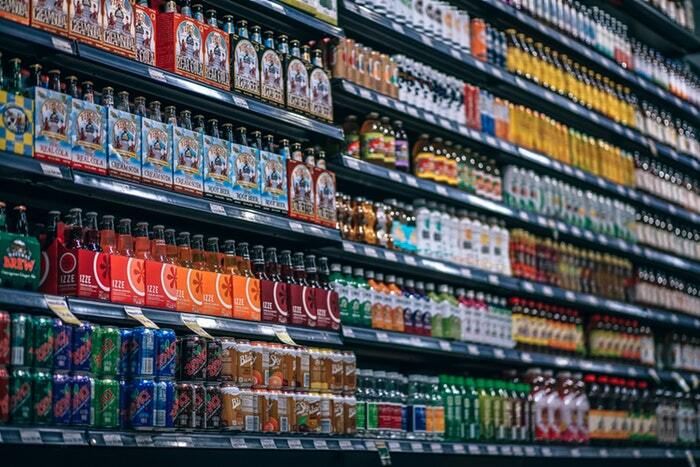 Some businesses, ranging from companies that make beer to companies that make groceries, are stripping off their logos and selling “unbranded” products. This is happening because people no longer trust most brands. In fact, according to a recent study, only 23% of US consumers believed that brands are “open and honest”. Ironically, the effort to sell “unbranded” products reinforces the importance of branding. Let’s look at a recent example – a company called Brandless. 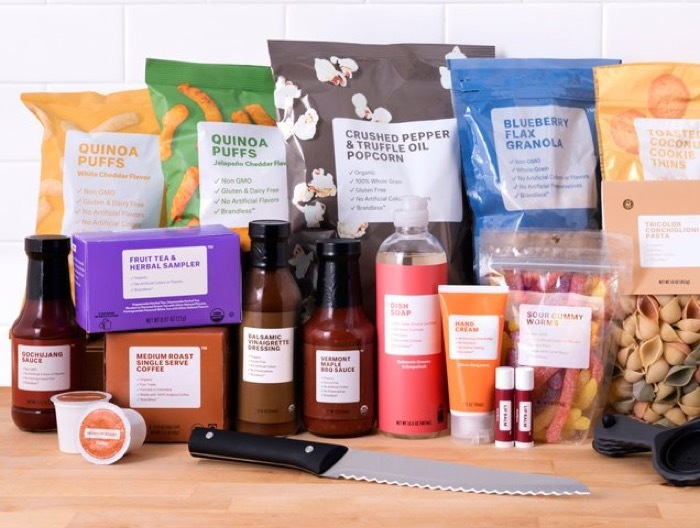 Brandless is an e-commerce startup that offers a variety of food, household, health, and beauty items – all at a $3 price tag. The company presents itself as a quality merchandiser selling organic goods without the “brand tax” that elevates other comparable brands’ price points. Rather than selling a traditional brand experience, Brandless instead opts for no-frills packaging in a trendy minimalistic aesthetic, taking advantage of current packaging design trends. Brandless claims that by eliminating the costs associated with advertising, marketing, and branding for a national brand, they can save consumers a sizable 40%. The logic behind this move isn’t wrong, but can it scale? Imagine if hundreds of companies decided to follow Brandless down this path. How can you choose from dozens of different jars of peanut butter with simple ingredient lists? Does the typical consumer want to spend time reading product labels? But has Brandless really eliminated branding? This is precisely what Brandless is doing with its own brand. The company’s logo appears on each product it sells. By offering a high end “generic” alternative for products you might otherwise find at your local Trader Joe’s or Whole Foods, Brandless has created its own form of branding. Its appealing minimalist logo, millennial-friendly mission statement, and the irresistible lure of convenient online shopping all mix to create a strong brand experience. Brandless’ CEO Tina Sharkey addresses the counterintuitive nature of their unbranded branding by acknowledging that yes, of course Brandless is a brand. According to Sharkey, Brandless has a different intended narrative, one that works to emphasize the changing values and demands of their market. Sharkey’s vision for Brandless serves as a complete departure from the heavily-produced, in-your-face branding that so many products offer up in every store. We’re trying to reimagine what it means to be a brand in today’s world, a brand rooted in authenticity, transparency, and trust. If we do this right we’re actually building a community of people who want to change the way we live, where we can focus on living more and branding less. The particular genius of the Brandless marketing campaign is undeniable. The company understands that in order to attract loyal customers in a quickly evolving marketplace, marketing strategies must stay firmly in touch with the values of its core audience. For Brandless, the recognition of the digital age’s value system works as the foundation of a smart take on branding. In Brandless’ world, a product’s typical accouterment of a striking logo, carefully crafted tagline, and exciting packaging design are distracting from their core product, and lack the simple messaging it seeks to deliver to the consumer. For an entire generation fixated on tracking every moment of their lives (the quantified self), and hacking their bodies (and minds) to perform at their ultimate best, the purity and simplicity of Brandless’ products make them alluring. What you see, Brandless seems to be saying, is most definitely what you get. Each Brandless product is packaged in a box with an ultra clean, simple aesthetic listing only the attributes of the food. This is where Brandless showcases an integral part of their value system and appeal. Each product has a descriptor placed in the middle of the product’s package graphics (label) and runs down the checklist of two to five descriptors, each one a reason to buy in and of itself: organic, non-GMO, no added sugar, no artificial preservatives, or gluten-free. This effectively avoids the confusing “false narratives” of most food packaging, leaving Brandless to outshine their competition with simple, clean design that gets right down to business. 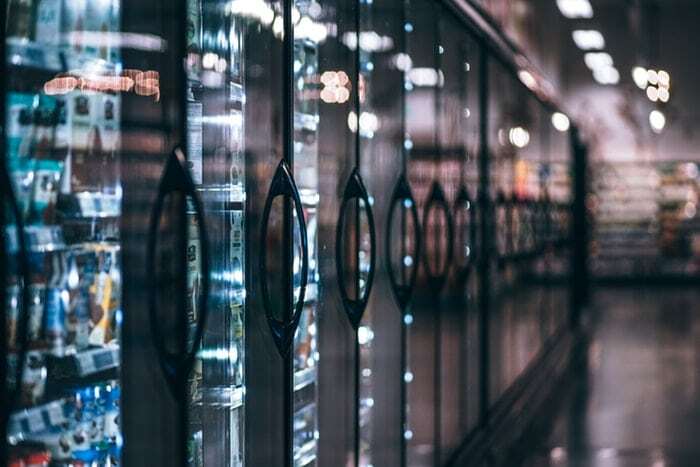 The bold approach to label each product with only those qualities and the simple ingredients inside each box means that their customer has to spend less time parsing through lengthy ingredient lists and distracting packaging and more time, for, well, anything else. Time is important to most people, and even on the subconscious level, not having to overthink a purchase because you know what you’re getting up front is overwhelmingly appealing. The sparseness and clarity of everything about Brandless and its products are defining values that further emphasize the core foundation of their products. And then there’s that $3 price tag. As an added bonus, Brandless appeals to the most prized millennial value of all: humanitarianism. The Brandless founders recognized that even a $3 price tag isn’t affordable for everyone, and so they built a social mission directly into their core business model. They built a partnership with Feeding America, and for every order placed, Brandless provides a meal for people in need. What Brandless shows us is you need clearly stated values, reinforced by meaningful actions. By surfacing those values throughout your product line, product packaging, and business plan, you end up with something incredibly powerful. So powerful, in fact, that you can dispense with the usual come-ons and packaging hand-waving altogether. The best brands tell a compelling story to their audience and that story that acts as the backbone of a brand’s identity. A good brand story focuses on a central theme in every form of communication from your business. It should inform your design choices and underscore your business’ value proposition. How you choose to communicate your brand’s story is central to connecting with your customers and forming real, lasting relationships with them. Brand is just as relevant as ever, but developing and managing a brand today is a very different discipline. What matters more than ever is the ability to tell a compelling story across touch-points—physical and digital—in a highly distinct voice, and the ability to evolve and pivot. This is another area that Brandless leverages to turn what seems like bland, nondescript packages into a powerful statement. The genius of Brandless’ approach is that by stripping away most of what we come to expect about products and packaging, it allows the story behind the brand to come forward. This has resonated with consumers, and according to Sharkey, especially with millennials. This is one of the biggest stories that Brandless tells: that the typical products you buy are overpriced, wasteful, and do not give back to the community. According to a study by Geniusworks, 88% of consumers believe companies should wield their power to promote societal change and should concern themselves with pressing societal issues. The study asserts that a brand that balance purpose with action is bound to see that action reflected in an increase on their business’ bottom line. 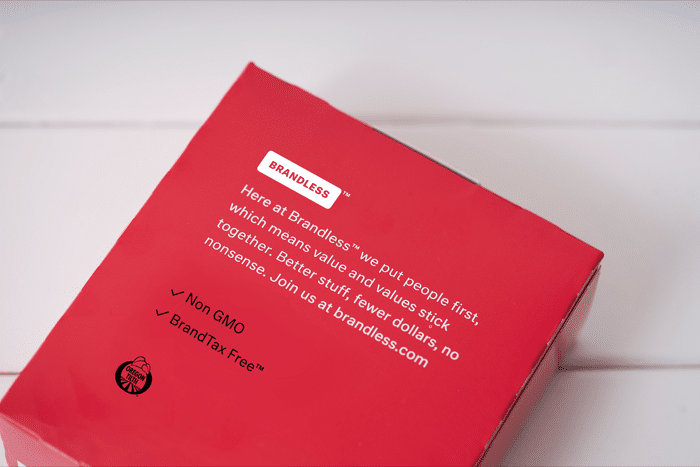 Brandless hopes by selling directly to consumers, and by making the key benefits of each product (non-GMO, organic, fair-trade, etc.) the product’s actual packaging, it can weave a story that hits home with customers. The lessons here is to create a compelling story, and then weave it through your entire product experience. Brandless is taking on one of the biggest, most challenging incumbents in the world: the traditional grocery business. Many startups have tried, and have dramatically flamed out. Does anyone remember Webvan? The company burned through nearly $400 million in three years trying to build an online grocery and delivery business before going bankrupt in 2001 and selling to Amazon. HomeGrocer.com was another company that tried to take on traditional groceries but also burned out. Ironically it was saved from near-death by being acquired by none other than Webvan. Brandless’ approach is different from other companies that preceded it. It has started small, with just over a couple hundred products currently for sale. This focus has multiple advantages. 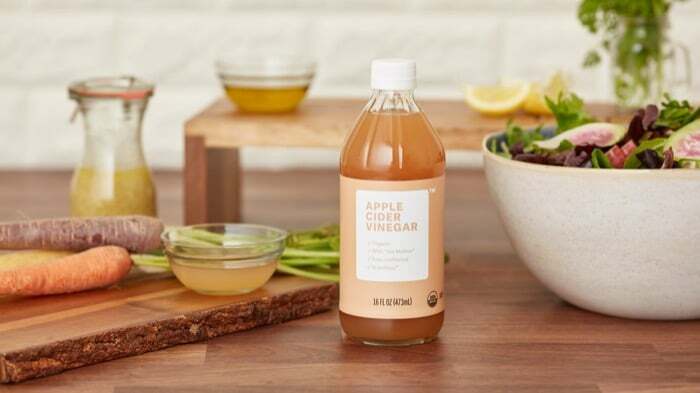 By keeping the number of choices low and the product selection focused, Brandless reiterates their goal of cutting waste and delivering only value. It would be more difficult for Brandless to stress the message that they only care about what’s important and dispense with the rest if they had a huge, unwieldy catalog of products. Companies like Target have thousands of products available at a wide variety of prices. Brandless only has a couple hundred and everything is $3. That kind of contrast is a powerful differentiator and might give Brandless the hook it needs to cut through and make a real impact. Small businesses can learn a great deal from the branding direction adopted by Brandless. Brandless departs from traditional consumerism altogether and instead seeks to promote simplicity, accessibility, and both corporate and social responsibility. By keeping their values an integral part of their brand experience, Brandless has created a powerful brand: one that connects with their customers in meaningful, impactful ways. Businesses in all industries would be wise to take heed and reflect on their own brand messaging. Having a well thought out brand strategy is more important than ever – make sure yours is reflective of how you want your customers to see you, and leave all the excess collecting dust near the other brands in aisle nine. Is it time for you to re-evaluate your brand strategy? Breathe fresh life into your brand and let crowdspring’s team of over 210,000 designers help. From product design to packaging design and package graphics, crowdspring has got you covered. Click here to start your next great product design project or request a free, no obligation design consultation for a new logo, business card, marketing materials, or any other type of design, with one of our design experts today.